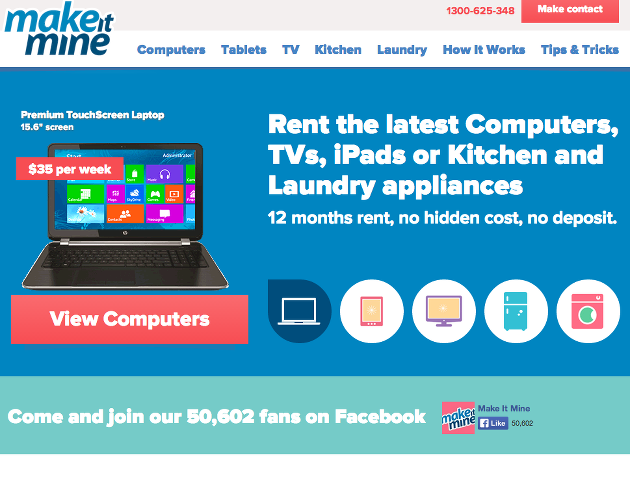 A powerful brand in Australia, Make it Mine acts as the leading rental organization for computers and appliances. They have an enormous following on Facebook and have engaged Ikusa to manage and promote a healthy link-building campaign. With over 200 separate ranking factors, MiM is a high-content site that has huge opportunities in content sharing and social engagement. We work with them to recommend new and creative ways to share their fantastic content, maximize the SEO impact of their site and blog, and educate them on current trends and changes in the industry. Our work with Make it Mine is one of our most fulfilling and robust relationships.